My name is Chloe! I live in the Caribbean and sell handmade food earrings, thanks to the help of some amazingly supportive people on Twitter. I opened my shop on April 15th 2018, after working on my website for months, and working on creating all of my products in less than a month due to excitement to get them out, I spammed all my social media asking friends to help spread the word about my business. 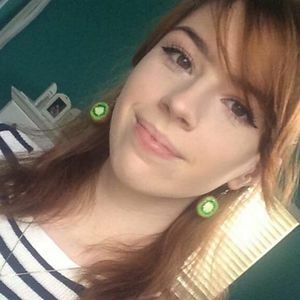 My close friends, family, and boyfriend, all shared the link to my website in the hopes of helping me get business. I felt so proud of myself for all of my hard work, and I got around 200 website views and no orders. I was a little bit bummed, grateful of course for the support my friends gave, but still bummed. I was upset because it felt like all of my hard work was for nothing, and I will admit it was a bit dramatic for only having my shop open for about 4 days, but I’m sure any artist reading this relates to the feeling. 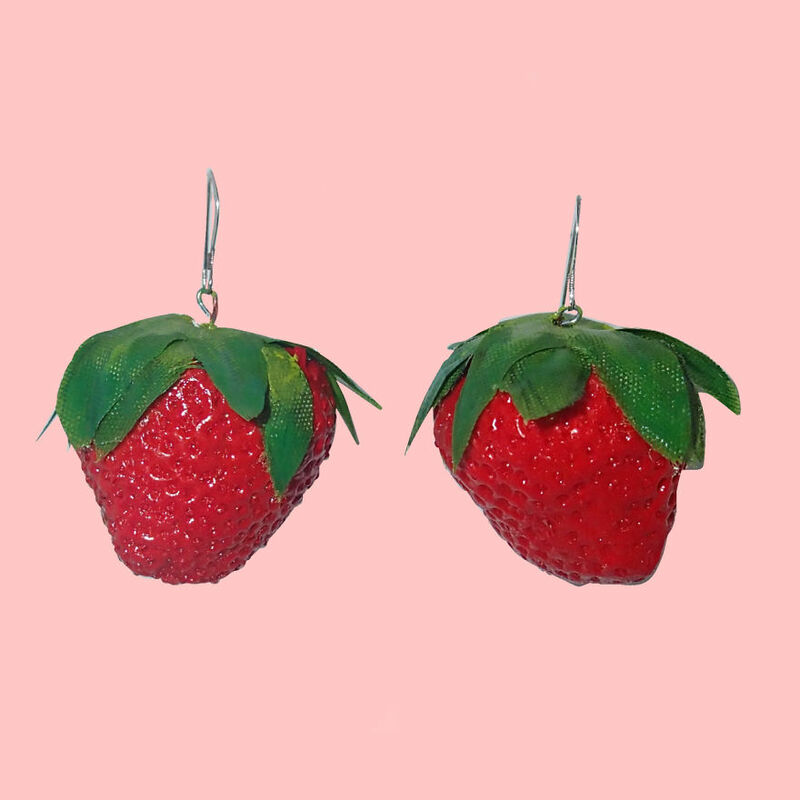 I kind of wanted to give up on it – to not talk about it anymore, and if someone ordered from me I’d be grateful, but I felt almost embarrassed promoting my shop because I felt like nobody cared about the earrings, and I didn’t want to make myself more upset. My mom and my boyfriend were so supportive and kind during this time. My mom told me every day (and still does) how proud she is of me and what I’ve done, even though I didn’t have any business at the time. 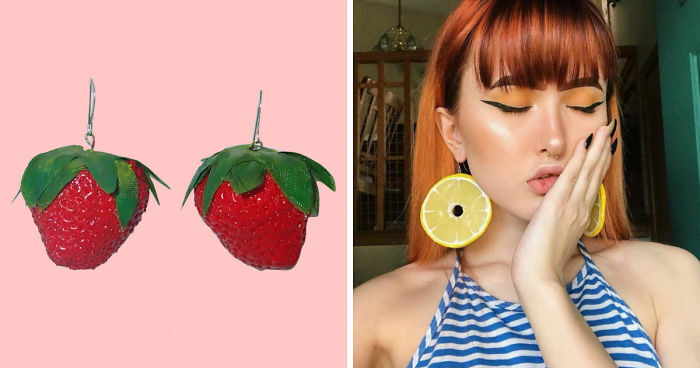 My boyfriend really inspired me to get into what I do in the first place, and encouraged me to keep trying to get my name out there and to be patient, because all I needed was to get my name out there, suggesting I post about my earrings on more platforms than Facebook and Instagram. So, I took his advice and reached out to Twitter, but I wasn’t very hopeful. “please i have no followers on twitter but i am desperate for money rn. if anyone rts this i will cry.but i have an earrings shop chlosoup.com everything is handmade by me n the ear wires are 925 sterling silver n the size n weight are on the website n all that! 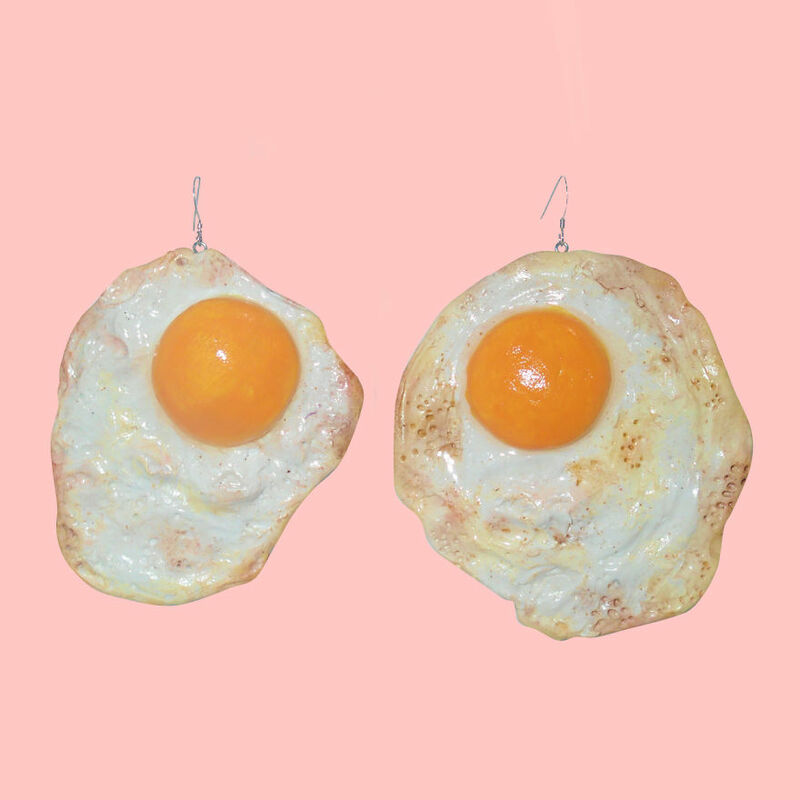 !” With some pictures of my favourite earrings. At the time I had under 30 followers, which I didn’t mind since I didn’t really use Twitter, but when you’re trying to get your name out there, the more followers the better. My friend Ashley was the first person to retweet it and I want to credit her for helping start all of this. I mean who knows, maybe it would’ve never gotten out there had she not retweeted it. Honestly when it comes to supporting businesses online, ONE share is all it takes to get the ball rolling. The post got 18.2K retweets and 19.4K likes, and I got over 120k views on my website. Compared to the mere 200 I got on the day of my launch, I was shocked. I never in my entire life thought this would happen to me. And I know for some people that might not be a massive amount, but to have gotten that many retweets in a few days blew me away and completely overwhelmed me. When I got my first order, I genuinely screamed when I got the notification on my phone. I was so happy anyone liked my earrings enough to purchase them. I was super grateful even at 18 retweets, I had no idea so many people would want to support me. Everyone was (and is) so incredibly nice to me, I had a few mean comments but the vast majority were amazing and sweet people. The fact that people who didn’t even know me would retweet that post and talk about how amazing my earrings are or how everyone should support small businesses like mine brought me so much happiness. The genuine kindness I experienced and still experience with my customers will always be so important to me. I will admit I’ve made slip ups, I’ve accidentally sent a few people the wrong amount of something, or something gets to them broken or late, but everyone has been so amazingly understanding towards me. I offer discounts to anyone who I’ve accidentally inconvenienced but they almost always refuse and tell me to take my time, which is so kind. I try my best to be personal with my customers too, I’m not some famous high-end brand so I don’t act like one, it’s just me doing this, I send out every email and I make and package every order myself. I like to treat customers like friends – I’m not an overly serious person in real life so I don’t pretend to be for my business. I like that right now my ‘brand’ is based on just how I am in everyday life. Even the way I’m typing all of this isn’t very me, but I do try to be more professional on my own website and for this one, but I want to be myself with people who buy from me. 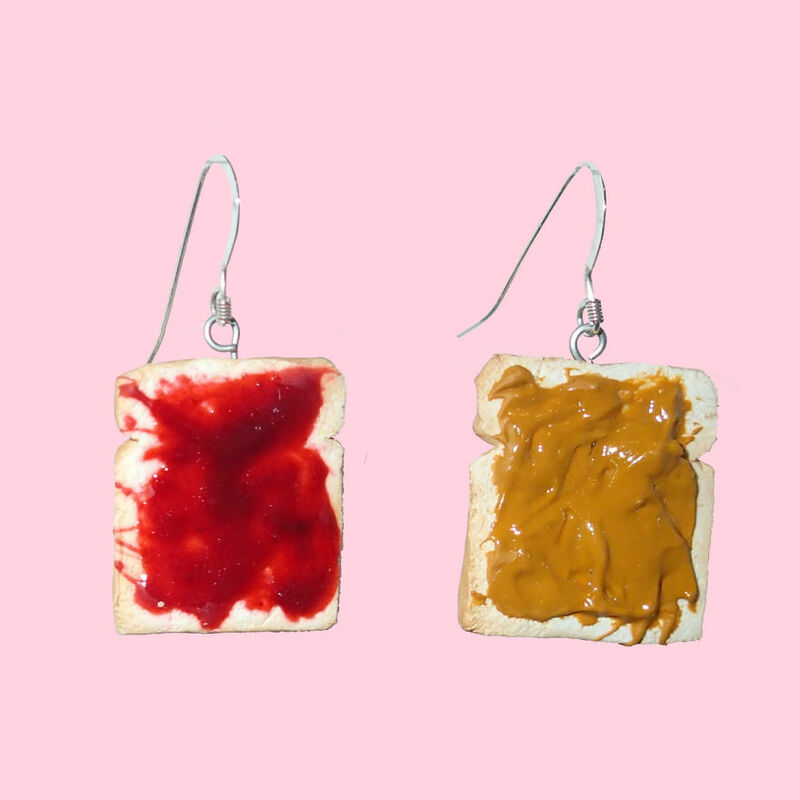 I want people who purchase from chlosoup earrings to know that I care about them and their business and that any issues they have they can take them to me and I am more than happy to fix them. I’d also like to add that my mom has helped me so much, she sources all my supplies and goes to the post office (far too often, in a good way) to send out all my shipments for me, I couldn’t have done any of this without her help. I wouldn’t even know what to do. As a business owner herself, she’s had so much amazing advice for me and always offers to help me in any way she can. It’s because of her I understand the difference between high and low quality metal, and why I use high quality metal for everything. She’s helped me buy all my initial materials with her own money because she wanted to support me. None of this would have been possible without her support, so I do call myself a mom and daughter business, because so much of my business comes from her. The Twitter post brought my business to so many people’s attention, and I am so grateful for that. I had seen so many posts on Twitter where a small business blows up due to the support of others and I never thought that would be me. I’ve had medical issues my entire life, and I’ve always wanted to rely on a job like this so that I’m able to work from home because it’s very difficult for me to go out everyday and work. I had to leave school twice and start over because of how hard it is with an illness to attend anything everyday for several hours, and for a long time I worried that I’d never be able to find a job that would actually work for me. The fact that I now have this business has given me so much happiness, and I really do hope it’s something that I can do at least for a little while. I’m so thankful for all the people on Twitter who got me to where I am, and grateful for every single customer and every sweet email and review I’ve gotten, and all of my friends and family who have come together to help support me and what I’m doing. My mom and my boyfriend have been my biggest support through all of this, giving me inspiration everyday to keep working so I can make them both proud. They’ve both seen my earrings grow from a small hobby to a successful online. I’m also grateful for my best friend (who is also named Chloe) has helped me so much by being basically my manager, helping to get me promos to help get my business out even more. I guess I just want to end this by saying that people can be so lovely when you least expect it, and that asking for help isn’t a bad thing. If you’re a struggling artist, reach out for some help, you never know where it could lead. And anytime you order from a small business, to be understanding, it’s really hard to run everything by yourself, and one kind email can genuinely make someones day. Also if you’re comfortable, send them pictures of your product! Whether its an accessory or clothes or decorations, I can promise you they will appreciate it. When you hand-make something, its like a part of you, and it always feels really great to know it’s ended up with someone who loves it as much as you. 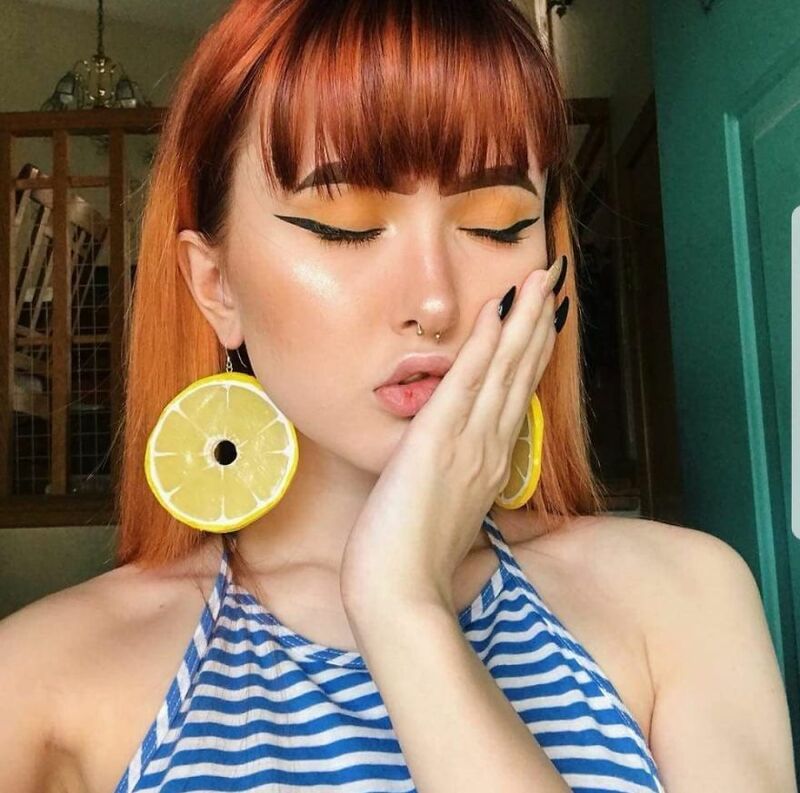 One of my beautiful friends wearing some lemon earrings! A really sweet blog post someone made about me out of nowhere, she later tweeted me a pic with her pie earrings too:) Everyone was being so kind!! Peeling bananas! I was surprised how many people liked these!